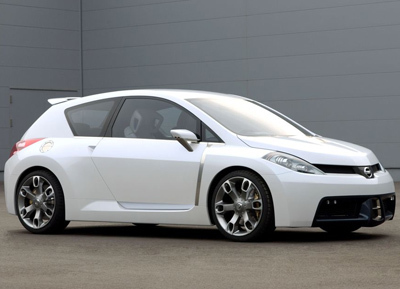 The Nissan Sport Concept which was premiered at the 2005 New York Motor Show was a virtually production ready vehicle aimed at stirring up interest from the younger end of the market. 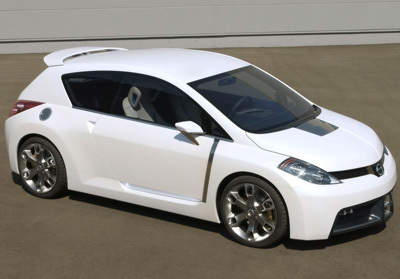 The Sport Concept looked like a tastefully modified hot hatch or a road/race model - minus the sponsorship decals. 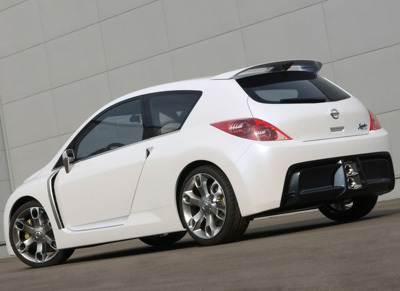 Chunky wheel arches, gaping grilles and a multitude of spoilers were the Sport Concept's calling card. Stuffed into the wheel arches were multispoke 20" wheels wrapped in low profile tires. 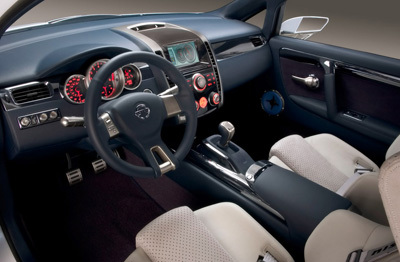 The interior of the Nissan Sport Concept followed the example set by the exterior, in that it could easily be translated into a production model. Sporty bucket seats were matched with racy aluminium trim and a stylish 3-spoke steering wheel.